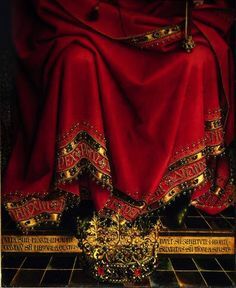 Jan van Eyck was a artist from Belgium who painted during the early 1400’s. He was one of the first to paint with oil paints and was known for the rich color and textural details he created through applying thin glazes of the oils. 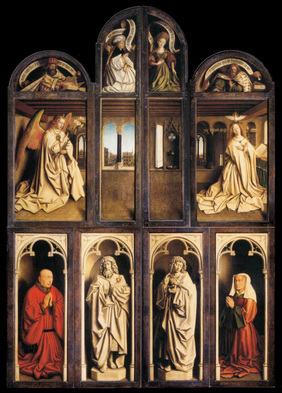 He helped paint the 12-paneled Ghent Altarpiece which is considered a world masterpiece. 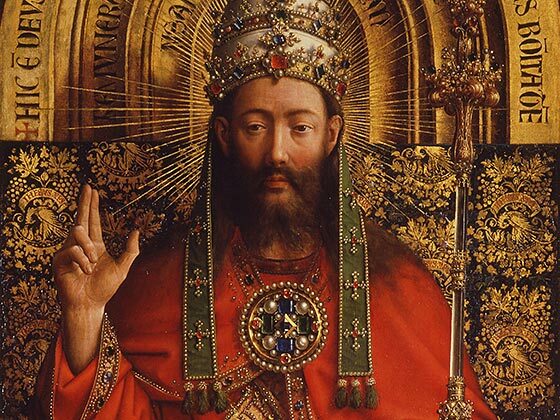 Van Eyck was a pioneer in portrait painting, producing realistic portraits that influenced many artists. 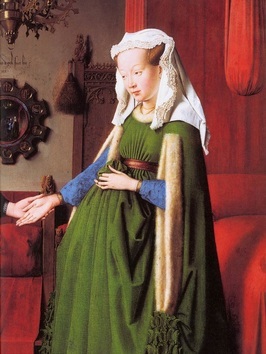 Our painting of the week is The Arnolfini Portrait. Texture is our third element of art. Texture can be “actual” or “implied”. Actual texture is how a surface actually feels if you touch it. Both two and three-dimensional art can have actual texture. Remember, two-dimensional art is flat like something drawn on paper, and three-dimensional art can be seen from many sides such as sculpture. 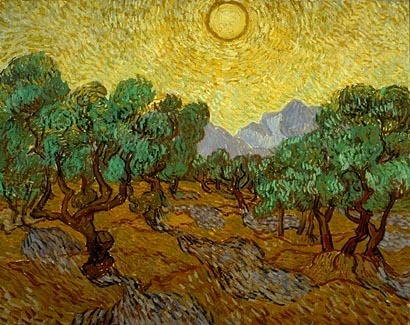 Van Gogh’s painting of olive trees has such thick, swirly paint that the ridges of the paint can be felt under your fingers. 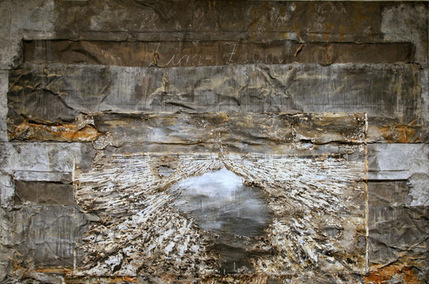 Do you think you could feel the texture of this multimedia painting if you touched it? 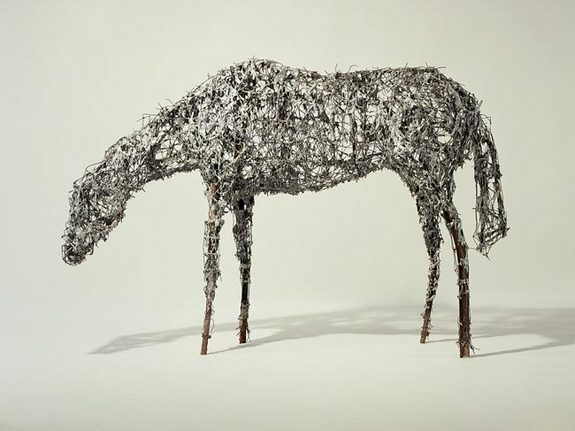 What would the texture of this sculpture feel like? 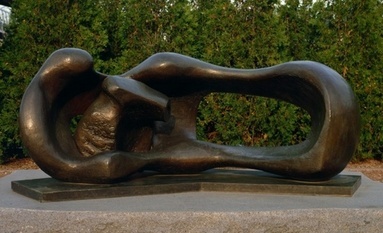 How would you describe the texture of these two sculptures? Actual texture is how something really feels to the touch. However, it is very rude and wrong to touch another person’s art. Art typically should be looked at but not touched. This rule of not touching art applies to any student art that might be in the hall or on display, too! This is an artwork that is meant to be touched. This sculpture is the Vietnam War memorial. 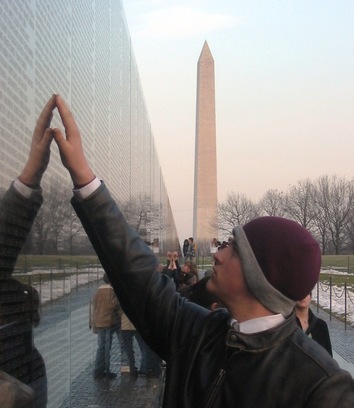 The artist intended for people to run their fingers across the engraved names of their loved ones killed in that war. The "actual texture" is an important part of this sculpture's design. 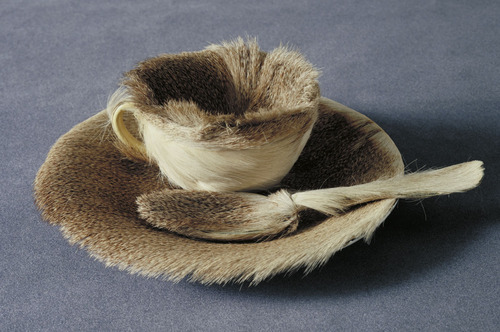 Texture, one of the seven elements of art, can be actual like the furry cup or “implied” as in Durer's Young Hare. Implied texture is when an artist can really show off their skills at rendering details, because implied texture is when an artist creates an illusion of texture. Here is a three-dimensional example. 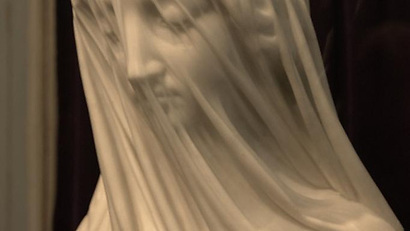 This sculpture is made of hard marble, yet the artist makes it appear that a delicate, soft veil covers the face. 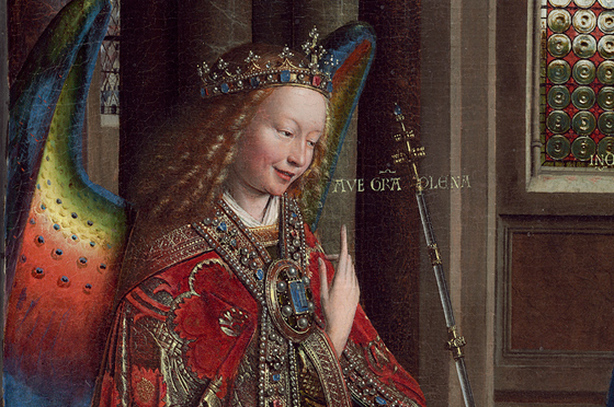 Van Eyck was a master at painting implied texture on two-dimensional panels. 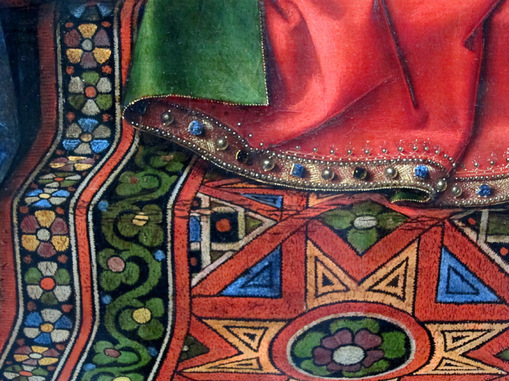 In Van Eyck’s The Annunciation, look at the way the jewels sparkle and at the textures of the robe. Notice the patterns and prints of the fabrics. 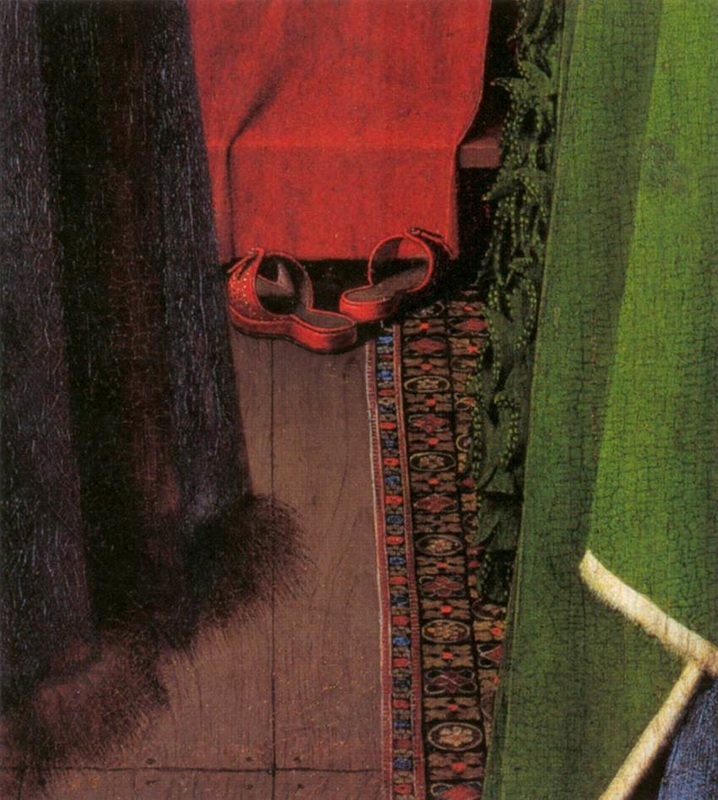 This painting by Van Eyck demonstrates many different implied textures. The shiny metal armor reflects light. 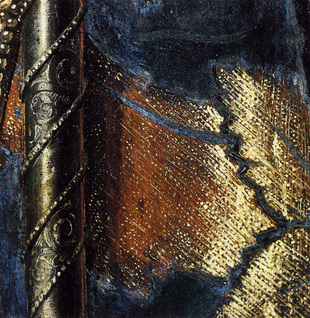 A closeup reveals the gold thread decorating the saint’s blue robe. The pearls glow and the implied texture of cloth tells us it’s velvet. 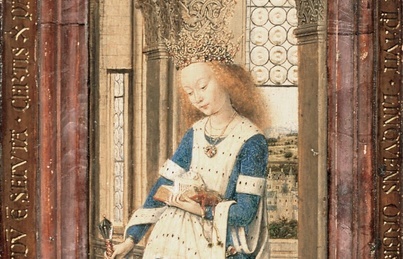 The Arnolfini Portrait was painted by Van Eyck on an oak panel consisting of three boards. 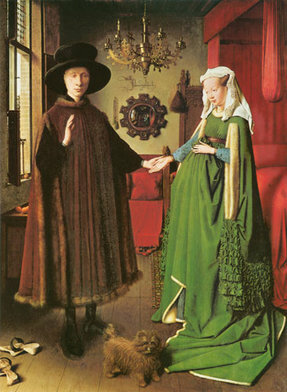 It is a portrait of a wealthy merchant and his wife whose last name was Arnolfini. 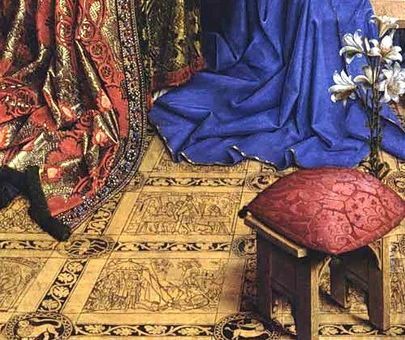 The couple’s elaborate clothing and the objects in the room show off their wealth and give Van Eyck an opportunity to use his great talent at painting realistic textures and details. 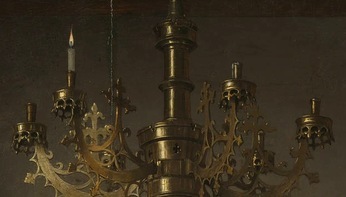 The brass chandelier gleams from the light. Fur trims the couple’s clothing. The clothing is made from fine cloth. 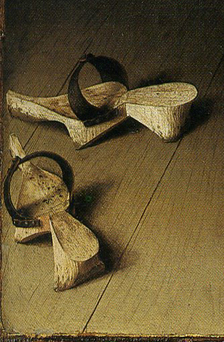 The clogs have expensive dyed leather straps and wooden bases. The way the wife holds up her full skirt at her waist makes her look oddly shaped, but it is just the bunched-up fabric, and the pose was typical for the time period. 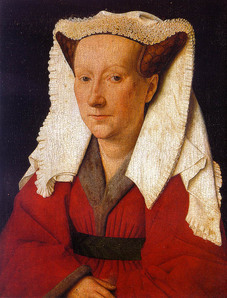 Another portrait by Van Eyck shows a woman in the same pose. The mirror on the wall reflects two people entering the room. 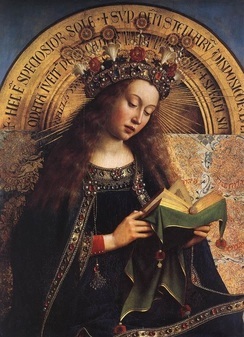 One of them was probably van Eyck himself. 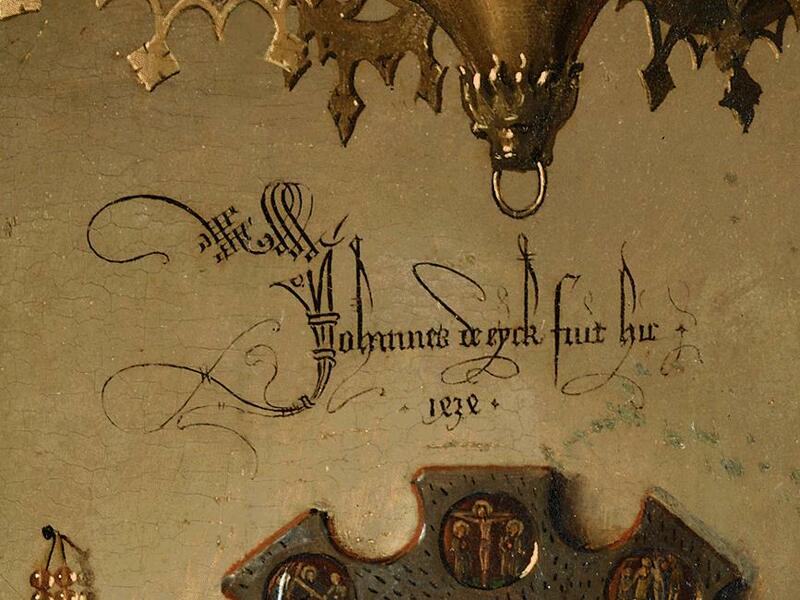 The signature on the wall above the mirror reads, “Jan van Eyck has been here. 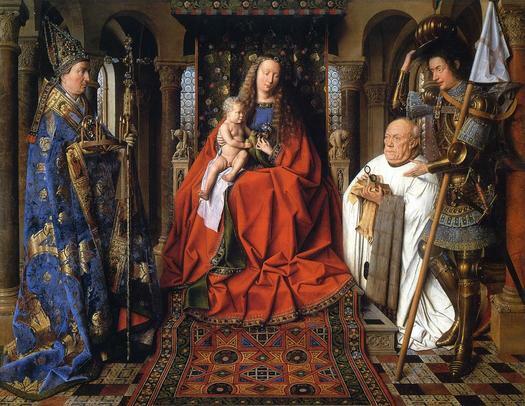 1434.” Jan van Eyck was a master of oil painting. Students divide their paper into several sections, then create texture rubbings using peeled crayons and plastic texture sheets. Mrsbrownart.com,. 'Kindergarten Art With Mrs. Brown'. N. p., 2015. Web. 11 Sept. 2015. CR.2._.1 Exploring artwork through various media using grade-level appropriate elements of art. Metmuseum.org,. 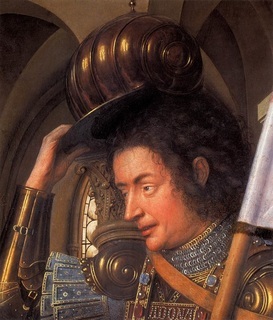 'Jan Van Eyck (Ca. 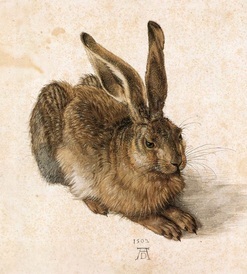 13901441) | Thematic Essay | Heilbrunn Timeline Of Art History | The Metropolitan Museum Of Art'. N. p., 2015. Web. 4 Sept. 2015. Nationalgallery.org.uk,. 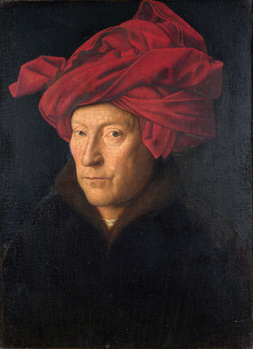 'Jan Van Eyck | Artist | Active 1422; Died 1441 | The National Gallery, London'. 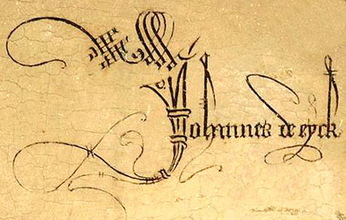 N. p., 1422. Web. 4 Sept. 2015. Nationalgallery.org.uk,. 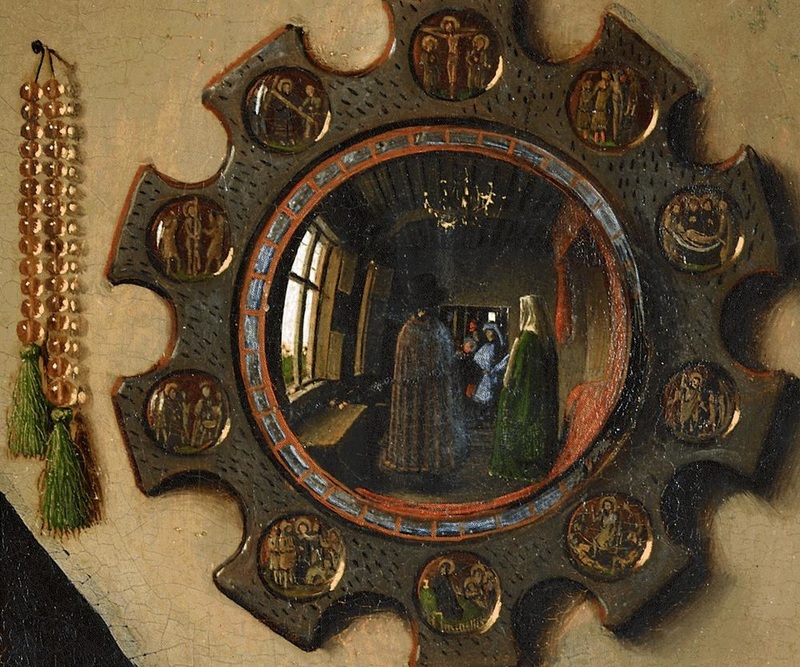 'Jan Van Eyck | The Arnolfini Portrait | NG186 | The National Gallery, London'. N. p., 2015. Web. 4 Sept. 2015. Wikipedia,. 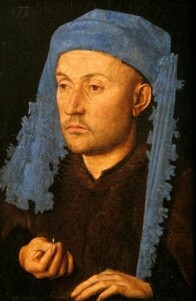 'Jan Van Eyck'. N. p., 2015. Web. 4 Sept. 2015.